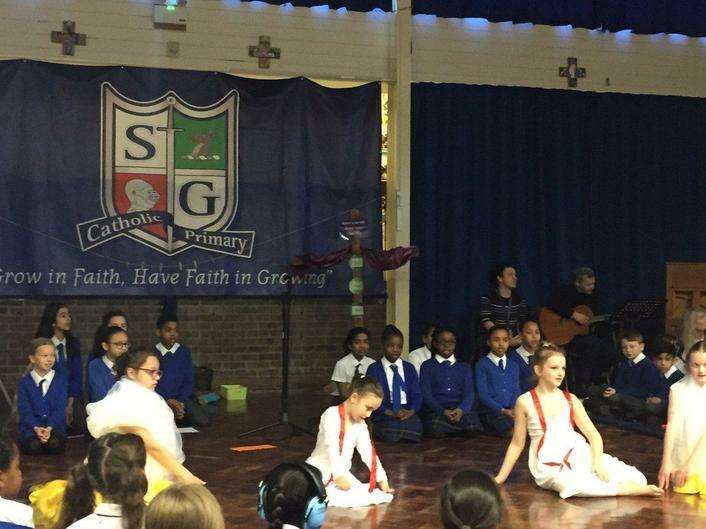 Our twitter page for St George's Please follow us on twitter @StGeorgesDerby for all the latest news on the Catholic Life of our school. As part of our fundraising efforts for Rainbows, we have been chasing the rainbow throughout Lent. For just 20p, you can buy a patch of the rainbow, choose our colour and add to it! We still have some space to fill so please bring your 20ps to school this week and next week. 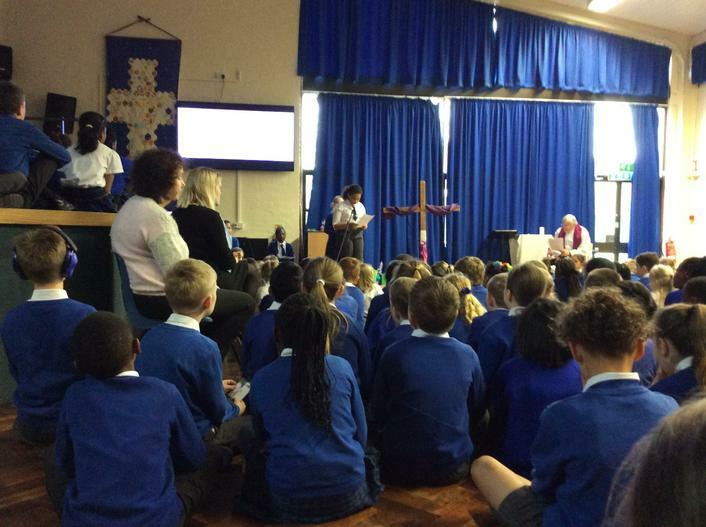 On Monday 8th April, years 2-6 took part in a Reconciliation Service led by the Liturgy team of the Chaplaincy team. 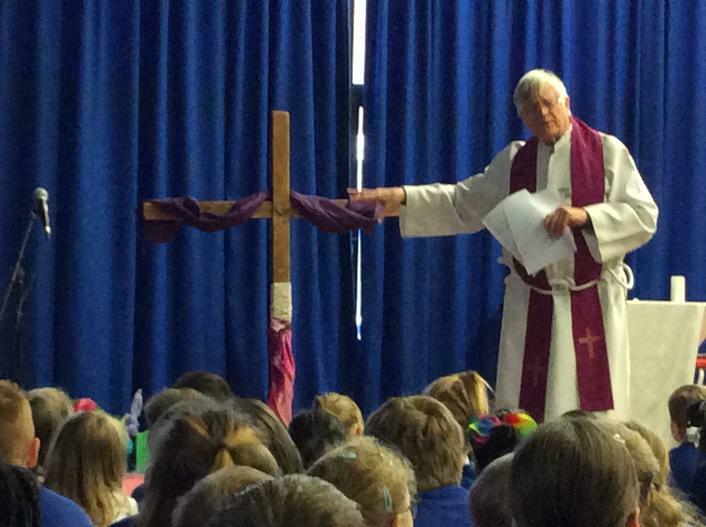 Father Alan led us in prayer followed by modern day dramas from the children about being sorry. 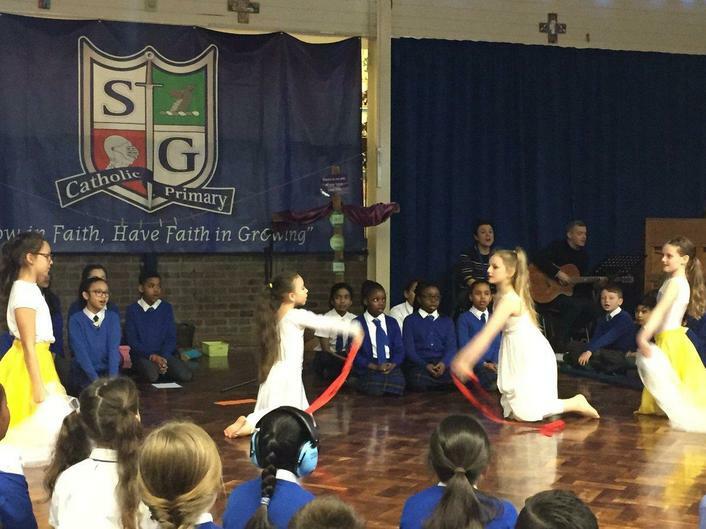 There was some time for silence, time to reflect, lots of opportunities to sing and a beautiful liturgical dance from our liturgical dance team. 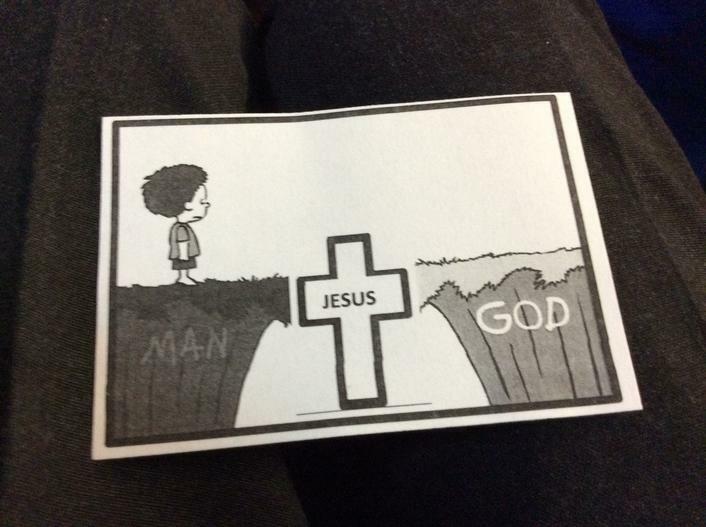 We used the symbol of a picture of somebody crossing the bridge to God to help us with this. As we walked back to our places, a member of the Chaplaincy team gave us a 'forgiveness' card. It said "You are forgiven, use this card when you think somebody needs forgiveness. 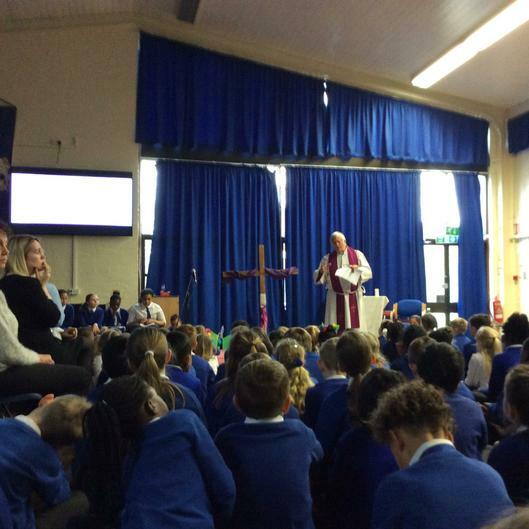 On Monday 18th March, the whole school took part in Adoration of the Blessed Sacrament. 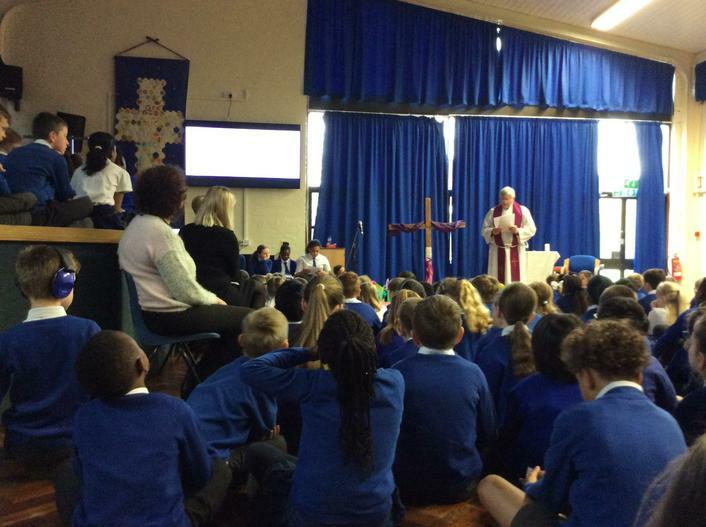 We focused on the theme of 'Discipleship' in keeping with Bishop Patrick's theme for Lent. We listened to scripture from Matthew's Gospel 'Jesus calls his fishermen' and thought about how we can be 'fishers of men'. 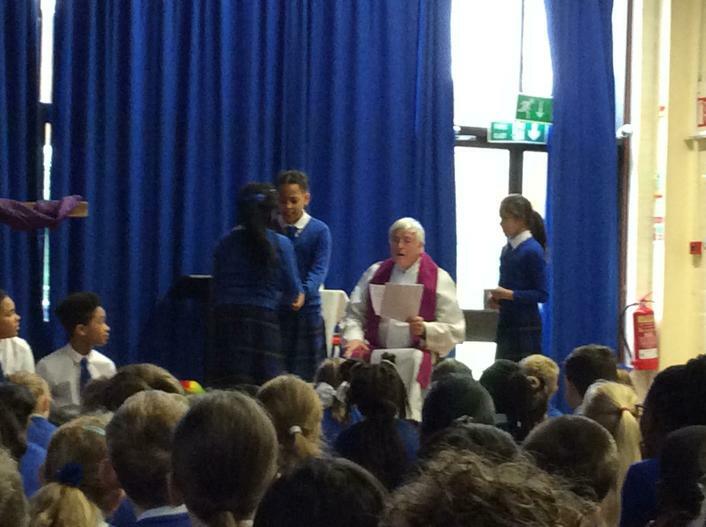 A basket was passed around with a piece of scripture in relating to becoming a good disciple. We have taken these home with us as a reminder and to help us live them out. 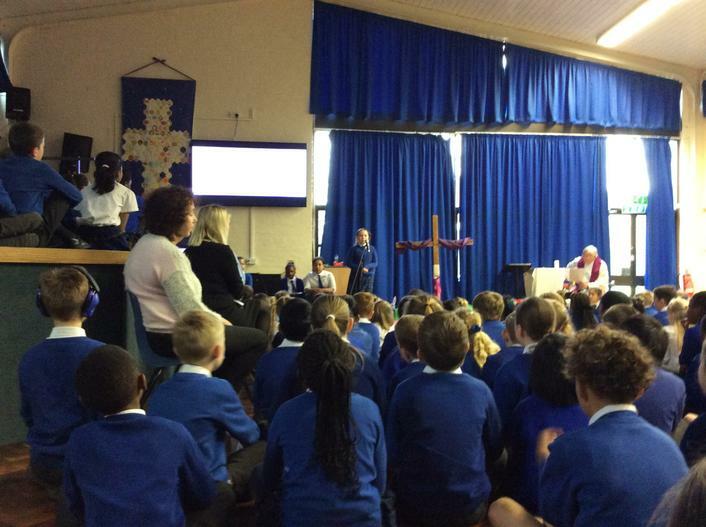 Our Ash Wednesday Liturgy was extremely thought provoking and respectful allowing everyone the opportunity to repent. 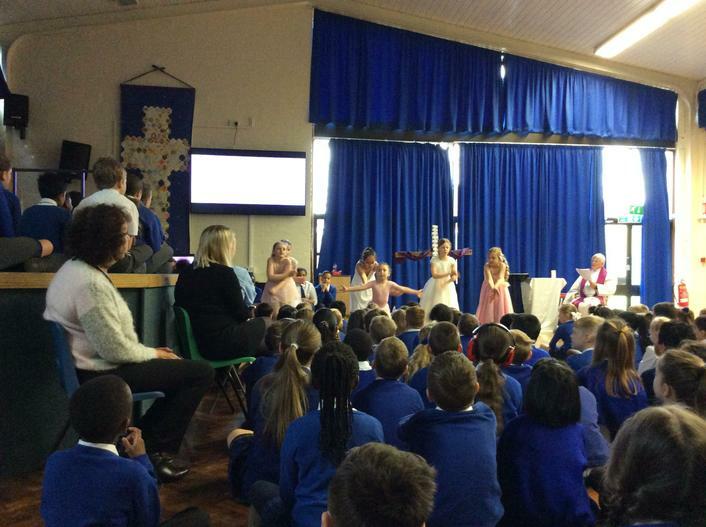 Each class worked together to produce their own contribution and the variety included parody, conscience alley, liturgical dance, poetry, drama and song. 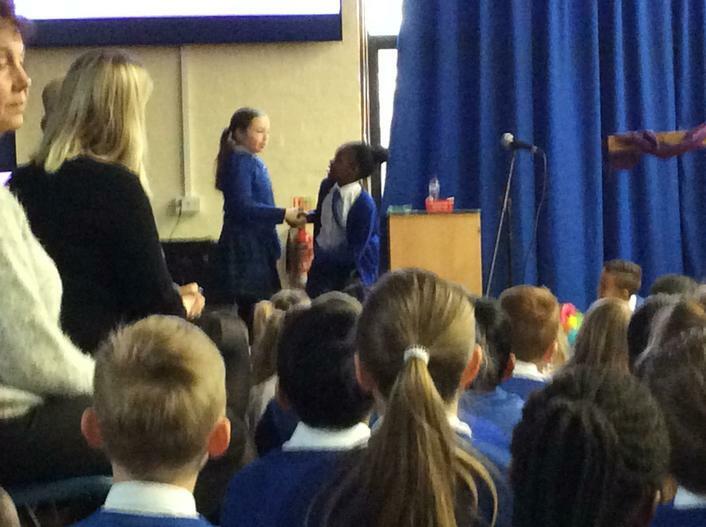 For the first time, our Chaplaincy team worked alongside teachers to distribute the ashes to each class. As we made the shape of a cross on each person's forehead we said "Turn away from your sins and believe in the Good News." We were really honoured to have this chance and look forward to doing the same next year. 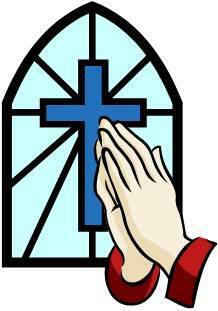 Welcome to the Chaplaincy Team's website page! 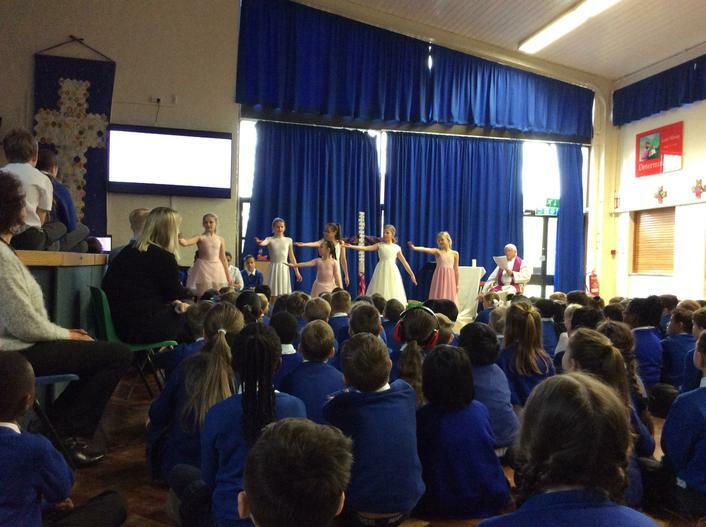 We'll keep you up to date with everything that we have been doing in school. 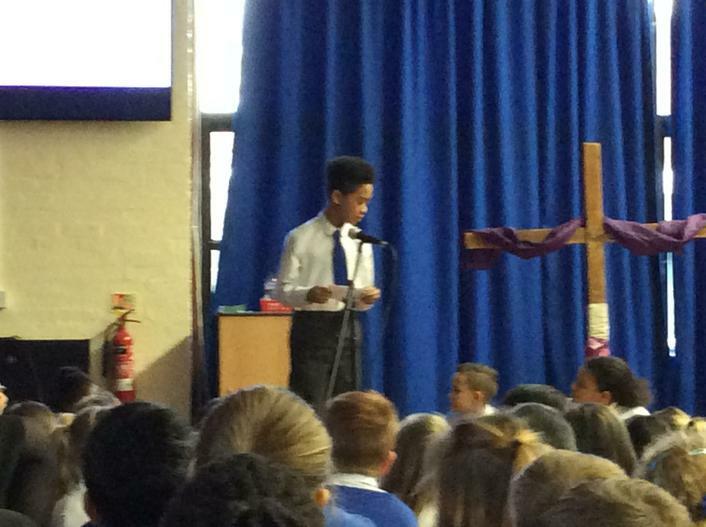 18.03.2019 - Following an ICT team meeting, we will be looking to work on developing our school website page, Twitter and the chaplaincy team board in the coming months. 19.03.19 - Following a Worship space team meeting, we will be focusing on evaluating the Worship spaces in classrooms and around school in the coming months. This year, the Charity team's first task will be to arrange the Harvest collection. 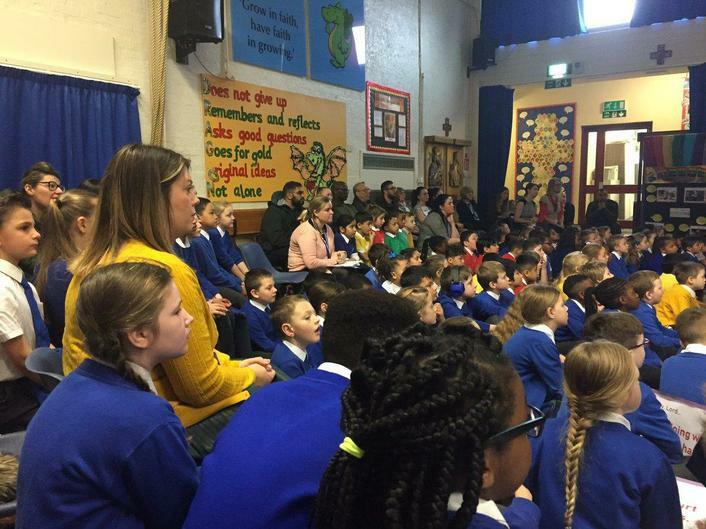 This was launched on Thursday 13th September 2018 and we welcomed an ambassador from the Padley Centre into school on Monday 1st October for a special information session. As always, we collected tinned food and other non perishable items in support of two local charities - The Padley Centre and The Hope Centre. Both of these charities support the local community, particularly those in need of food, shelter and other day to day items to help them with their living arrangements. After half term, we visited both of the Charities' headquarters again this year, after a successful first trip last year, to deliver the collected items. We take great pride in being able to support those in need and find it even more worthwhile when we know that our help and support is reaching out to those in our local community. Thank you for supporting us with our first challenge. 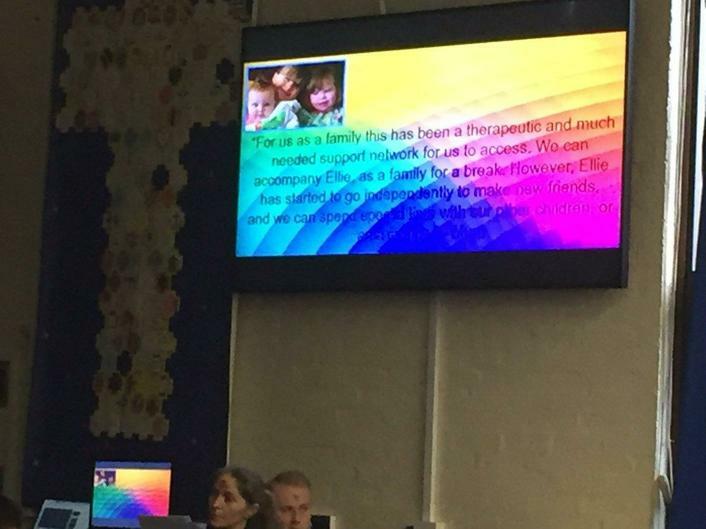 20.03.19 - Following a Charity team meeting, we will be focusing on ensuring that our Lenten fundraising for Rainbows is successful in the coming months. 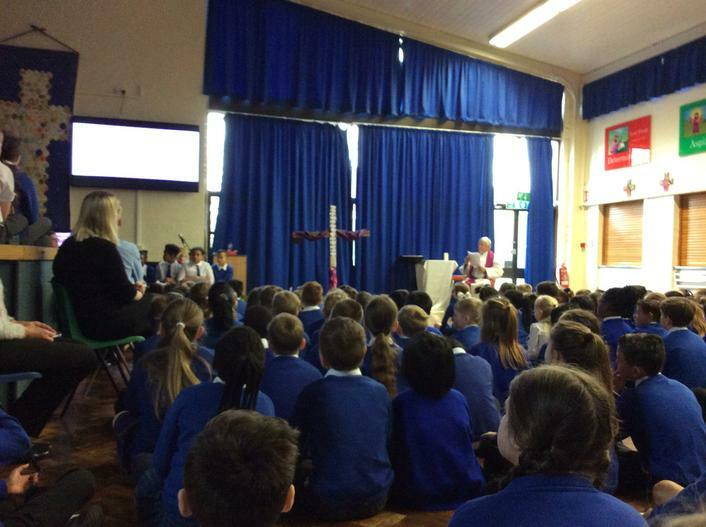 21.03.19 - Following a Liturgy team meeting, we will be focusing on developing child-led liturgy in our school as we work with each class to help them produce and deliver Worship. 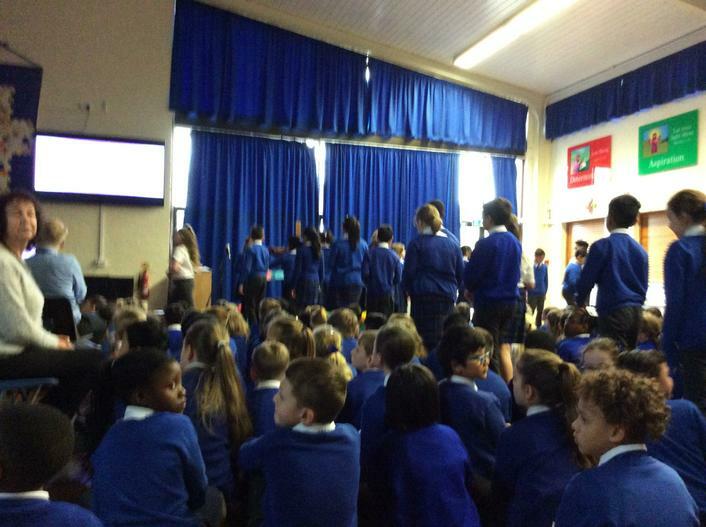 Keep a look out for when our first whole school worship will take place! 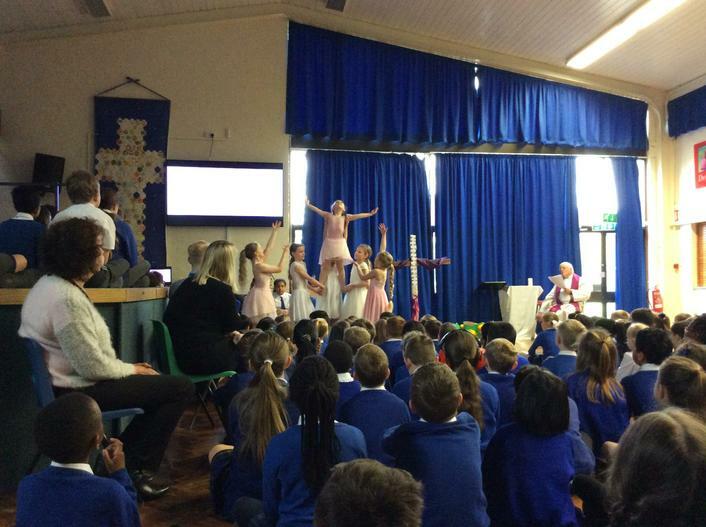 Keep checking back on our page to see how we have been living out Jesus' words and helping to enhance the Catholic life of our school!